Trantec offers a range of Volumetric screw feeders. These feeders have a superior design and consist of automation features. 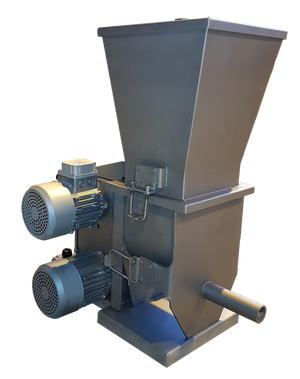 Volumetric feeders are known or metering fine powders, chips, flakes, granules and pellets. Feel free to check out our Volumetric Screw Feeder video below where you can see the product in action.